Marvel Comics has officially announced that Rob Williams will be taking over as the new writer on the Daken: Dark Wolverine series. Williams will take over the series with a special, all new Point One issue. The Point One issue is meant to be a great jumping on point for new readers. Daken: Dark Wolverine follows the adventures of Marvel’s newest crime boss. Daken has already single-handedly executed a ruthless takeover of Madripoor’s criminal underworld and now he’s in pursuit of a new prize – the City of Angels. However, Wolverine and his fellow Avengers are ready to stand in Daken's way. 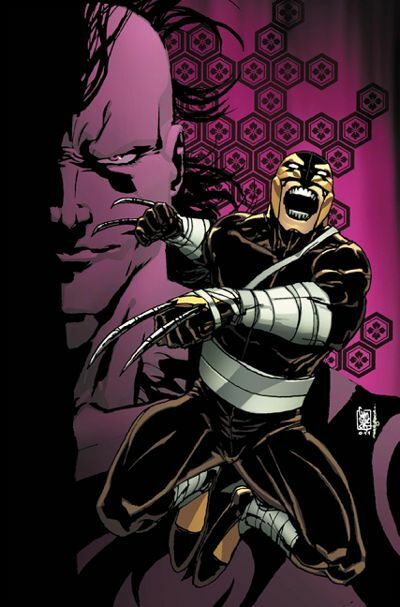 Daken: Dark Wolverine issue #9.1 is scheduled to arrive in comic book stores on April 27, 2011. The cover to the issue is by artist Giuseppe Camuncoli.